Find all locations of the Red bricks in Lego Dimensions. 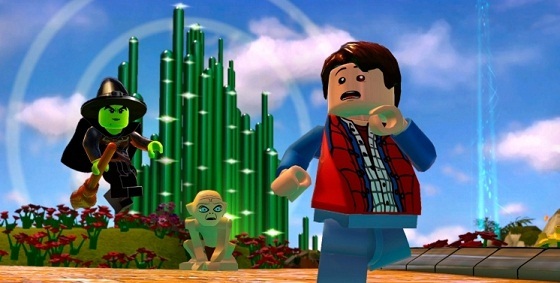 In Lego Dimensions you enter next Lord of the Rings, the world of Back to the Future or Jurassic World and the Simpsons. In each of these worlds a red brick is hidden, which is held by a drone. So grab a vehicle in order to drive the drone and you incorporate the collective subject. It does not matter whether you use the Batmobile or Homer Simpsons Car. In the video guide below you learn all the locations of the eleven hidden Red Bricks in Lego Dimensions. In upcoming Level packs more Red Bricks could be added with new features. The video shows all collectibles in the current Lego adventure Starter Pack. Once you have collected all the items, you are allowed to the main portal of the Game ransom against Studs. We recommend in this case, first unlock the dual Studs-stone to use a boost to the collection of Studs. In addition, you should still invest in the mini-kit detector to take the trophy in the game for all hidden mini-kits.